Anahim Lake is located on Hwy 20 approximately 320 km (200 mi.) west of Williams Lake and 136 km (85 miles) east of Bella Coola. Anahim Lake is a small community made up of a number of small businesses revolving around the tourism industry and members of the Ulkatcho First Nations. The Ulkatcho First Nations have a number of reserves including a settlement in town and a smaller one to the east on Hwy 20 by Two Mile. The band looks after wilderness lands towards Tweedsmuir Provincial Park called the Ulkatcho First Nation Natural Resource Management Area. 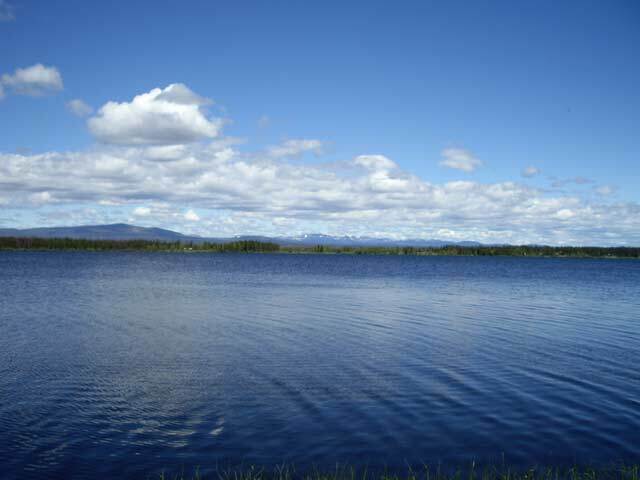 Situated on the West Chilcotin Plateau, Anahim Lake is a fly fishing paradise. Fish such as Dolly Varden, Rainbow and Cutthroat trout are very abundant. Try your luck on the lake or, if required, visit the various guides and resorts that are on the lake. They can assist you as to what the fish are feeding on, plus offer you other services including 'fly in' fishing opportunities using floatplanes. If needed, the very popular A.C. Christensen General Store has been in business in one form or another for over 100 years and is located on Christensen Road near Grandma's Corner Service. These merchants promise and have a slogan, "If we haven't got it-you don't need it!" The A.C. Christensen General Store is home to McLean Trading which has meat, groceries, fishing tackle, ice and contains a liquor store. Anahim Lake also has local services such as motels, restaurants and a neighborhood pub. 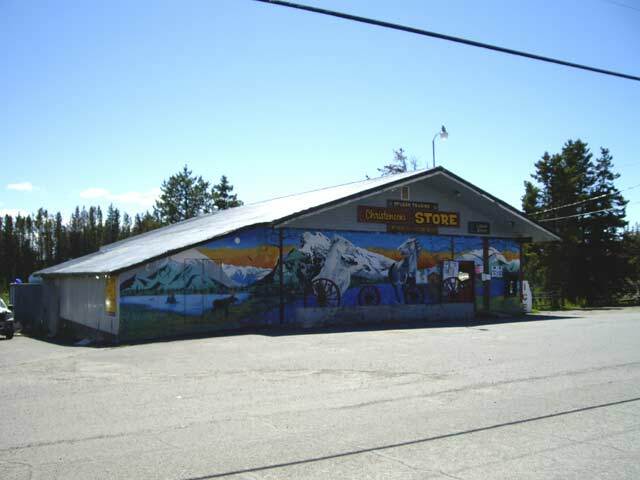 You can find fuel at Grandma's Corner Service which has gas, diesel, lubricants plus a small convenience store and Anahim Lake Trading which has a gas bar and general store. If you are hungry try going to the Dutchman Restaurant situated at the entrance to the community on Hwy 20. For local adult entertainment there is the Frontier Inn which features a licensed facility. 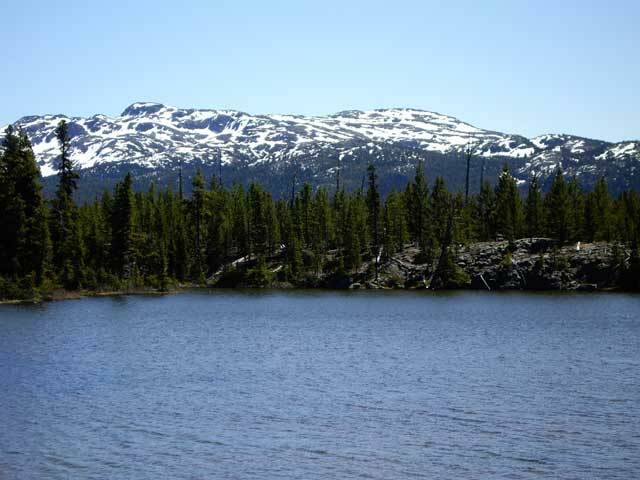 Besides the great fishing other outdoor recreation includes outstanding snowmobiling in the various areas surrounding Anahim Lake and near Itcha IIgachuz Provincial Park. For general information pertaining to the region the Anahim Lake Snow Machine Club can be reached at (250) 742-3265. Other events happening in Anahim Lake include the annual Dean River Canoe Races in May which go from the Dean River near the mouth on Nimpo Lake and ends in Anahim Lake. There is also the very entertaining Anahim Lake Stampede which happens during the second week of July. Situated on the west side of Anahim Lake travelling towards Bella Coola on Hwy 20 is where you will find the BC Hydro Generating Plant. 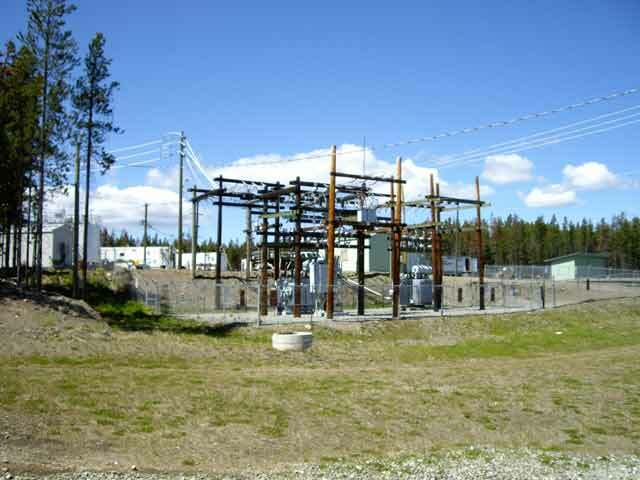 The diesel run power plant, part of the BC Hydro non-integrated system supplies both Anahim Lake and Nimpo Lake. Itcha IIgachuz Provincial Park is located just north of Anahim Lake. This wilderness park contains the headwaters of the Dean River famous for fishing, kayaking, canoeing and wilderness opportunities. Moose Lake Lodge Local guides with 'fly in' fishing along the Dean River. Close to Anahim Lake is Tweedsmuir Park home to Hunlen Falls, British Columbia's and Canada's third highest waterfall. You can hike into the falls following a rugged trail through Turner Lakes or the Turner Lake Canoe Circuit. This is an overnight trip and goes through dense wilderness and bear country so be prepared; otherwise, charter airplanes are available for you to fly over the falls. There is a trailhead parking lot located at the base of 'The Hill' at the bottom of Heckman Pass near Stuie. From here 4x4 transportation still has to be arranged through various eco-tour operators. Just east of Anahim Lake on Hwy 20 is the small community and resort area of Nimpo Lake. 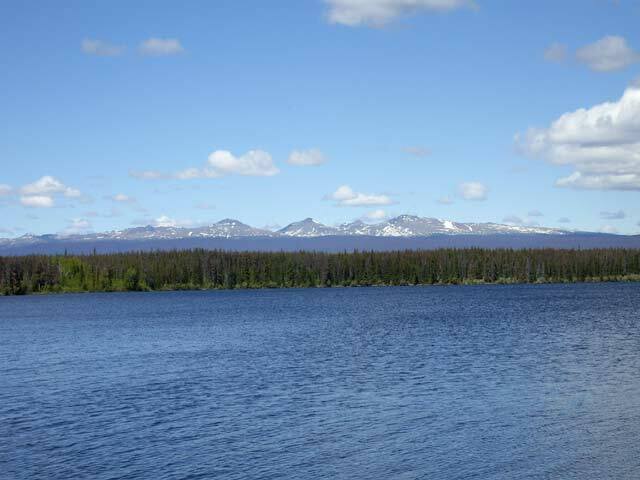 You can find very good fishing at this lake during several times of the year. Check it out if you are in the Anahim Lake area. 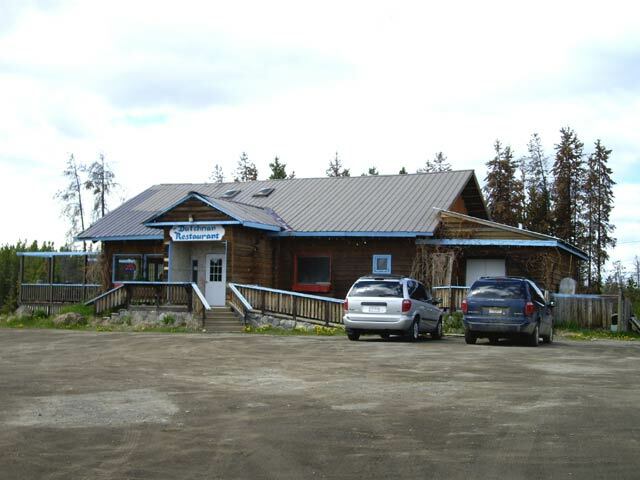 Nimpo Lake has a general store and waterfront restaurant available plus a number of guides and fishing resorts nearby along the waterfront. Anahim Lake is home to the local airport that serves the West Chilcotin Plateau. Scheduled flights and charters are available throughout the year.